The Nissan X-Trail offers the space of a large SUV with excellent economy, and all at a reasonable price. Nissan has long been known for offering a wide range of 4x4s, although in the UK today it’s more about crossovers. 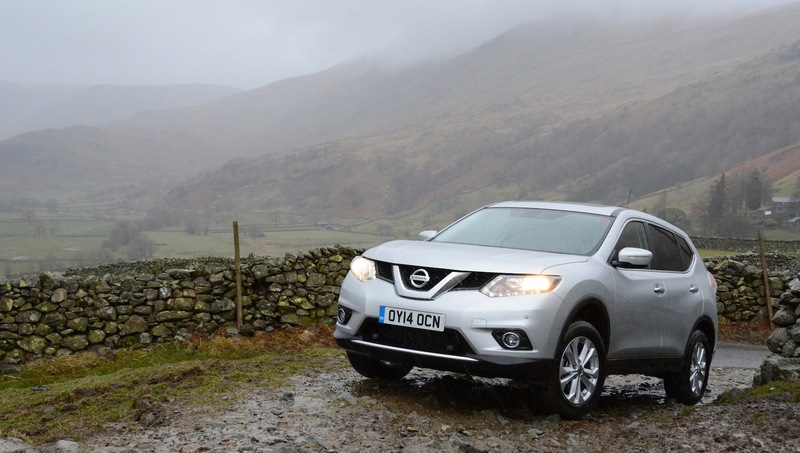 The success of the Qashqai took Nissan – and its rivals – by surprise. 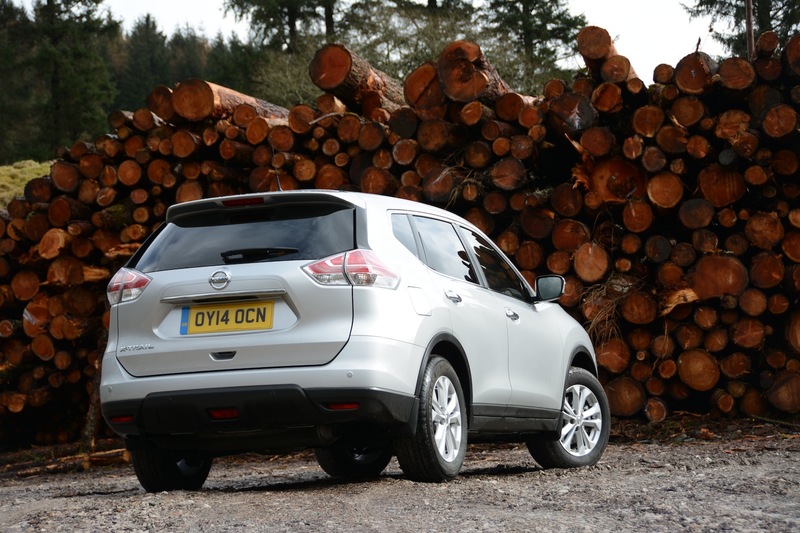 Then came the smaller Juke, which again has been selling very well. Now Nissan has introduced a new X-Trail, which may be for you if the Qashqai doesn’t offer enough space. 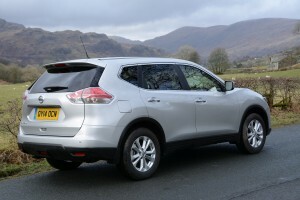 Most people who saw our X-Trail thought it was a Qashqai. In the past Nissan has sometimes had little design cohesion between its model range – perhaps today the Qashqai and X-Trail are too visually alike. The similarities are also evident inside. We think the latest Qashqai is a good-looking car, so it’s perhaps no surprise that the same can be said about the X-Trail – although the current trend for huge alloys on large SUVs means that the 17-inch wheels on our test car are bordering on small, compared to rivals. 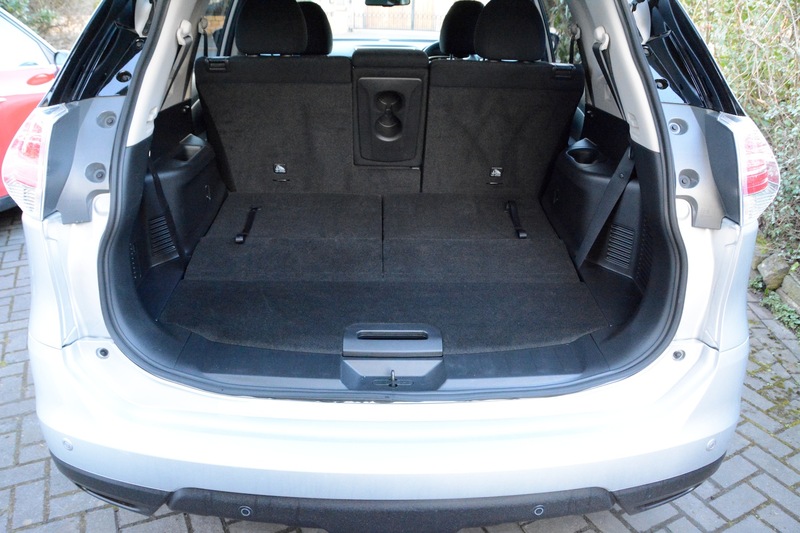 The whole point of the X-Trail is to offer lots of space, and it achieves this, with a huge boot if the third row of seats isn’t in use. There’s also lots of room for driver and passengers, and the second row of seats can slide forwards and backwards to offer a large range of adjustment. 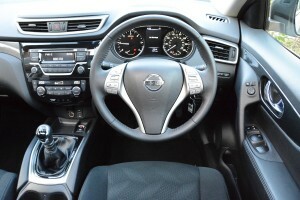 Under the bonnet is a 1.6-litre turbodiesel, mated to a 6-speed manual gearbox in our test car. This is a relatively small engine for such a large SUV, but progress is helped by a good amount of torque (320Nm), and there’s an economy benefit by sticking to a 1.6-litre, as we’ll see. 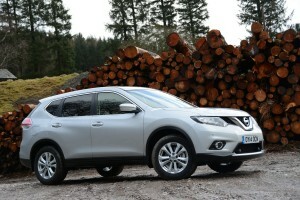 The Nissan X-Trail may look very similar to a Qashqai, but the driving experience feels more like an old-school 4×4. By this we mean that the car feels big and tall, there’s a long-throw manual gearchange, it feels like a diesel on the motorway, and the performance isn’t going to set the world alight. In other words it’s difficult to describe it as agile. All this is fine if you want a big 4×4 driving experience, but with our test car you get the driving experience of a 4×4 without the 4×4 capability. And because your brain thinks that you’re in a 4×4, you have to readjust your expectations when the traction of the car tells you that you only have front-wheel drive. This is a car with high profile tyres and suspension designed for off-roading, so you would expect the ride quality to be amazing. In reality it’s comfortable, but it can still be caught out by speed bumps and potholes. 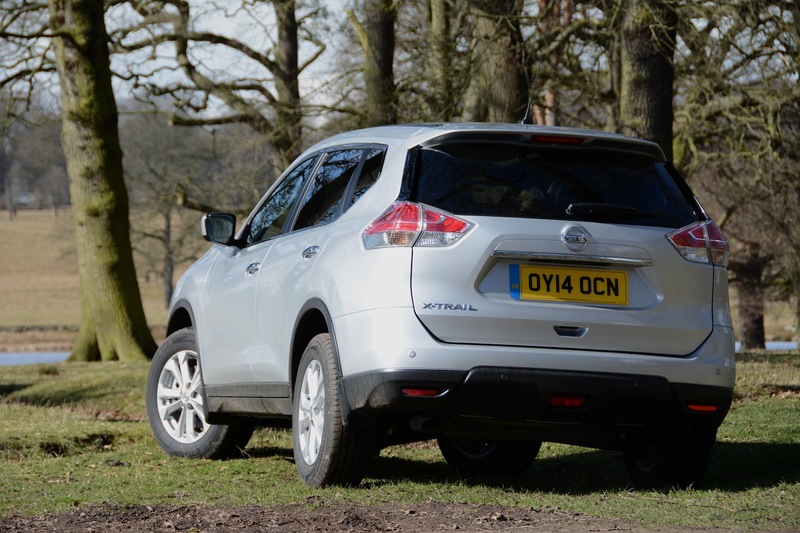 During our week with the X-Trail we were constantly monitoring the fuel economy and we couldn’t believe our eyes. To the extent that we kept checking the actual fuel economy, and it turned out to be as good as it appeared. We achieved 53mpg on the motorway, 56mpg on A and B-roads, and 46.8mpg overall. No large SUV should be returning these sort of figures in real-life – even a front-wheel drive one. 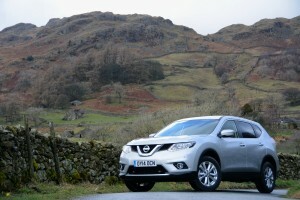 The good economy also translates to a large range of well over 500 miles from the X-Trail’s 60-litre tank. 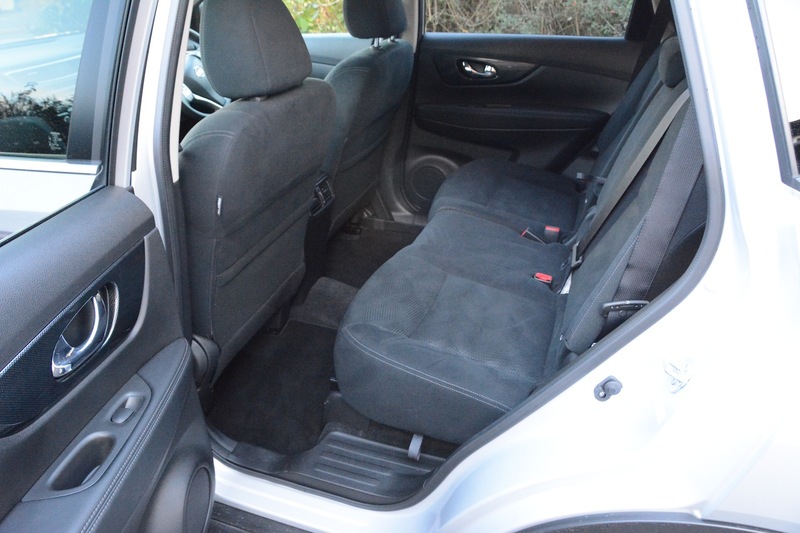 For a car of this size with seven seats the price of £24,995 is good value (if you don’t believe us, compare it with the £90,000 Range Rover Sport Hybrid). 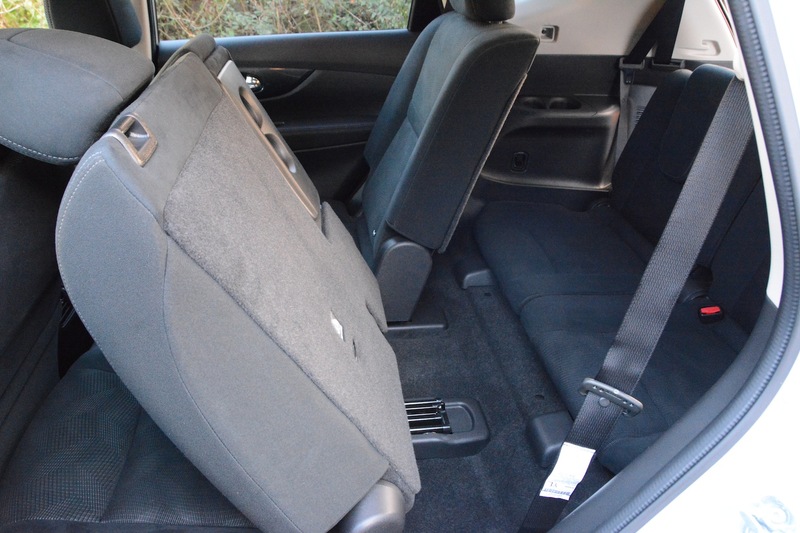 The only option on our car was metallic paint at £550, taking the price to £25,545. 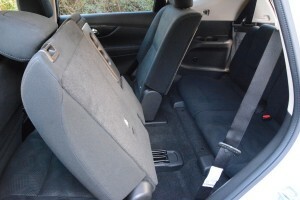 You would normally expect satnav in a car of this class, but there was none in this Acenta trim of our test car – but there was a panoramic sunroof. 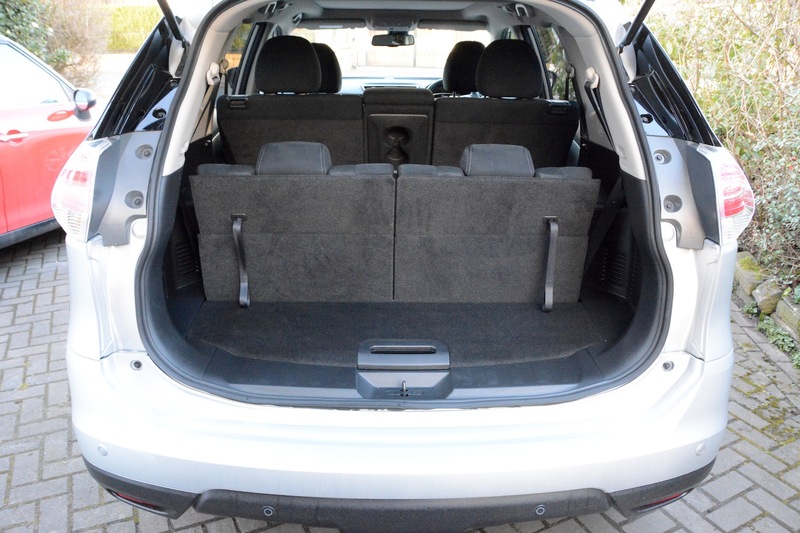 The X-Trail only comes with this 130PS 1.6-litre turbodiesel engine, but there’s a choice of two-wheel drive in manual form or with Xtronic Continuously Variable Transmission, or four-wheel drive and the manual gearbox. The four-wheel drive version only has 10g/km higher emissions than the front-wheel drive model, at 139g/km CO2 and 53.3mpg. 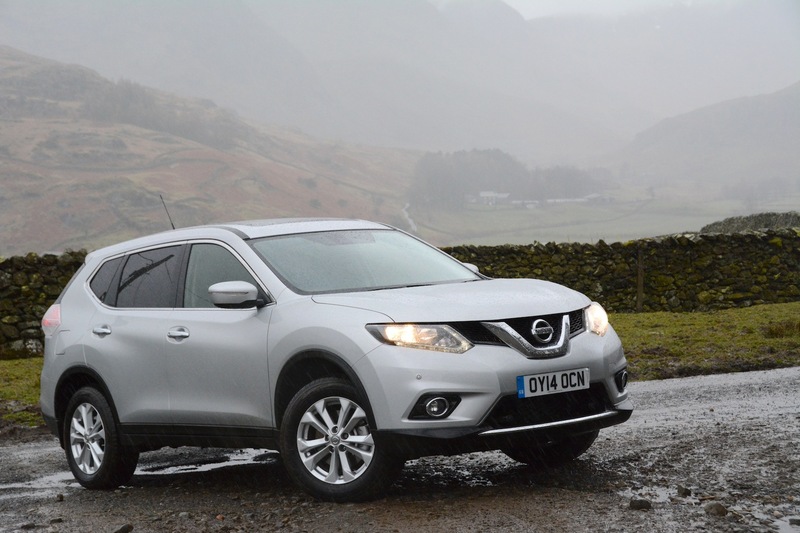 There are five grades of X-Trail: Visia, Acenta, Acenta+, n-tec and Tekna, starting at £23,195 and rising to £31,345. 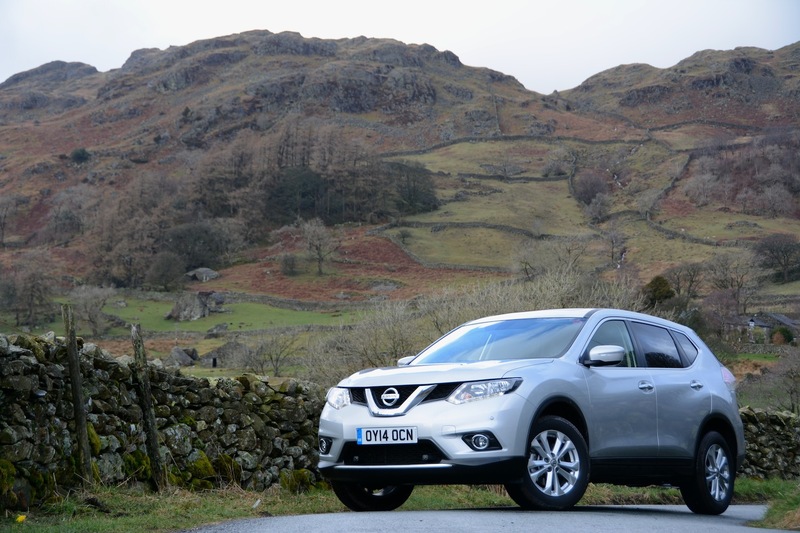 Externally the Nissan X-Trail may be virtually undistinguishable from a Qashqai to many people, but from the driver’s seat it feels like a big, old-school 4×4. Except that our test car wasn’t a 4×4 – it was just two-wheel drive. We’re never quite sure why people would buy a big, heavy SUV with all the engineering to enable it to drive up a mountain, and then have the four-wheel drive system disconnected. We appreciate there are various global markets where large size and high ground clearance matter more than four-wheel drive, but in the UK we think that you’d be better buying the four-wheel drive version to benefit from all the car’s capabilities, or buying a 7-seat people carrier instead. 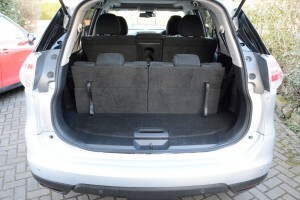 Of course the main benefit of disconnecting the four-wheel drive capability is better economy, and to be honest, we were really, really surprised as to how economical this X-Trail was in real life. 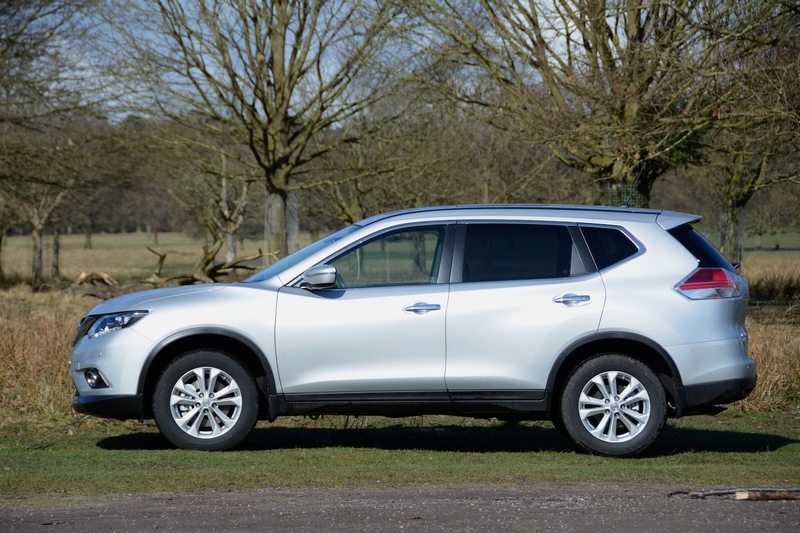 So if you do want a car that looks like a 4×4, with seven seats, impressive real-life economy, and one that offers good value, then the two-wheel drive Nissan X-Trail is a good choice – just don’t get embarrassed if you have to drive across a muddy field one day and you get stuck. The Nissan X-Trail gains a Green Car Guide rating of 7 out of 10.